Disney is one of the most visited vacation destinations in the world thanks in large part to people making their first visit to the park. I often hear of people going to the parks for the first time and they hardly know anything about the parks. Some people will do the proper research and make a plan. Others will just show up without any idea of what to do or what is there. I feel badly for those families, as they don’t know what they are getting themselves into. They also won’t be able to accomplish nearly as much as they’d probably like. While I’ve tried to make our site helpful to first-time guests, there is still plenty more to cover. I do think that reading about FastPass, dining, and hotels is helpful but what about simple attractions that everyone should try? Would that be helpful? Duh! That’s why I’m writing about it. And I wouldn’t take up 3+ hours of a rainy Monday to write about something that I thought was only an okay idea. 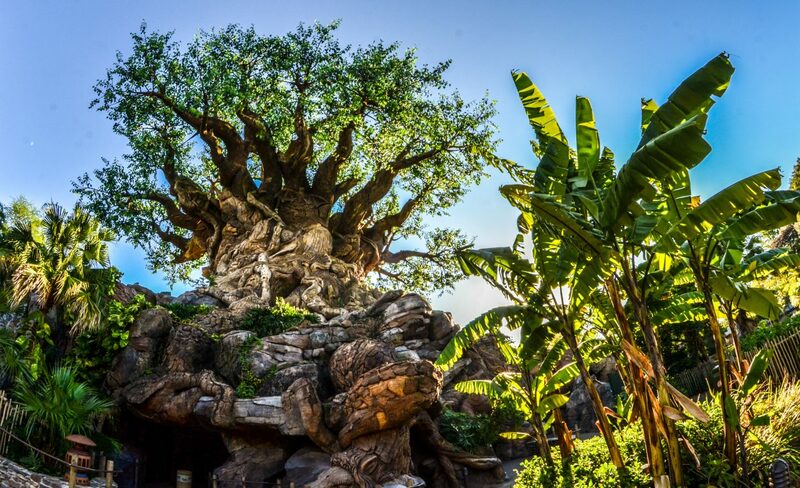 We’ll go park by park through all of the U.S. Disney parks (moving west to east) touching on attractions and shows that everyone should try to see on their first visit. Of course, time isn’t endless (unless you are one of those crazy Time Stoppers) so people may not be able to complete everything on these lists. I’ll try to keep from adding too many attractions on to the list so it’s somewhat doable. Let’s get started with the Disneyland Must-Do’s For Dummies (that’s a better title but not as accurate) First Timers. Let’s knock out a few attractions right off the bat. 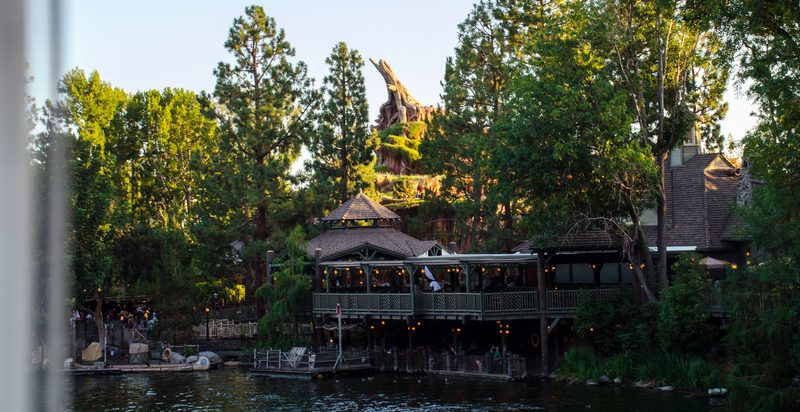 The ‘Disney Mountain Range’ is made up of Splash Mountain, Big Thunder Mountain, Space Mountain, and, Disneyland’s honorary member, the Matterhorn. These are all thrill rides of varying degrees and are some of the most popular attractions in the park. Big Thunder Mountain, the Matterhorn, and Space Mountain are all roller coasters themed to different areas. Big Thunder is themed to the wild, wild west and is termed the wildest ride in the wilderness. As far as roller coasters go, Big Thunder really isn’t that wild (no roller coaster at Disney is THAT wild) but it is themed marvelously. It’s a pretty good starter roller coaster for those who haven’t experienced coasters before. 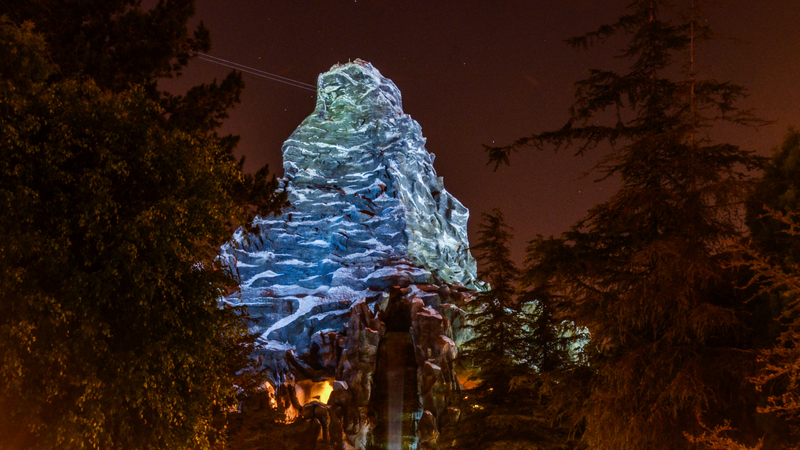 The Matterhorn Bobsleds is steeped in Disney history and is themed to the Swiss Alps. Aside from the castle, this attraction is the park icon as it towers high above the rest of Disneyland. Space Mountain is in Tomorrowland and themed as a ride through space. If you want to know what it is in simpler terms, it’s a roller coaster in the dark. Of course, it’s a much better attraction than just that but I’ll save the details. As of July 2016, Space Mountain is currently HyperSpace Mountain and has a Star Wars theme. This overlay probably won’t last more than another year. Splash Mountain is different than its mountain brethren because there’s a stream that runs around. That streams leads you on a flume ride with stunning show scenes. This attraction would also be considered a thrill ride as it has several drops and then one extreme drop. The soundtrack, scenes and story are what make it a classic though. Located in New Orleans Square, Haunted Mansion is that daunting building of the land, much like the mountains in their lands. This mansion has 999 ghosts and is looking for one more. While a scary premise, Haunted Mansion isn’t all that scary. The track system is brilliant and is one of the first ‘omnimovers’ in the theme parks. Meaning that the track constantly keeps moving and can move guests through at a rapid pace. That means the line will move much faster than other attractions, so keep that in mind if the line looks really long. The Haunted Mansion is a Disney masterpiece that is a must-do. Apparently they don’t use that name anymore on the website. Indiana Jones Adventure* is a fantastic attraction for thrill seekers. It contains many nods to the different Indy movies and also uses a unique ride system. As you cruise along in a jeep, the story takes you on an expedition to see old artifacts and Indy helps you out along the way. This thrill ride doesn’t have history that other attractions on this list have but it makes up for it with a unique, bumpy and exciting. *notates that I think that’s a stupid name. From one of the most thrilling attractions to uhh… How should I describe this? If you haven’t noticed I’ve been trying to do short descriptions of each attraction and telling you why it’s a classic that’s not to be missed. Here it goes for this one… A whimsical, slow boat ride where thousands of dolls sing a catchy, good song over and over again for approximately 12 minutes. Yeah, that doesn’t sound great. But, “it’s a small world” is maybe the most hopeful attraction ever made. There’s also the beautiful Mary Blair artwork throughout the attraction and on the exterior. 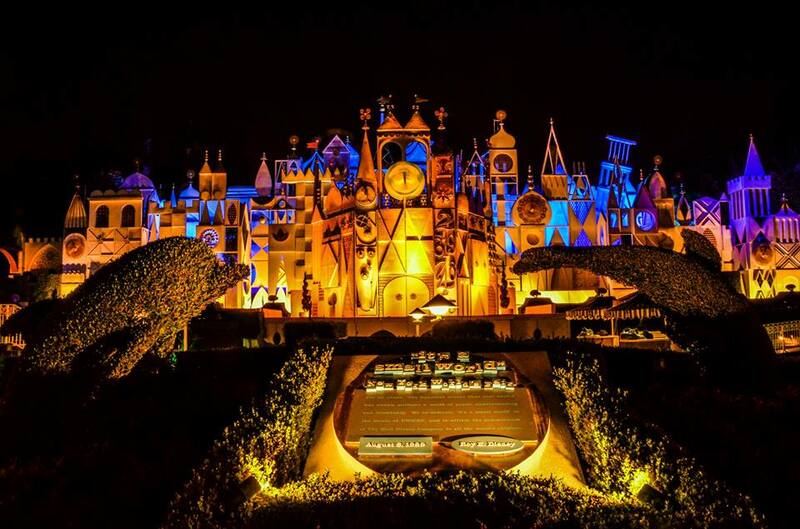 Made for the 1964 World’s Fair, “it’s a small world” is a true Disney classic that shouldn’t be missed. From one boat ride to another, the Jungle Cruise is distinctly ‘Disney’. This cruise takes you through the World’s most famous rivers, showing the animals that inhabit them. Much to Walt’s disliking, these animals aren’t real but are instead audio-animatronics. While on the cruise you’re likely to run into some bad jokes and puns by your skipper. The Jungle Cruise has been around nearly as long as Disneyland has been, making it a classic. 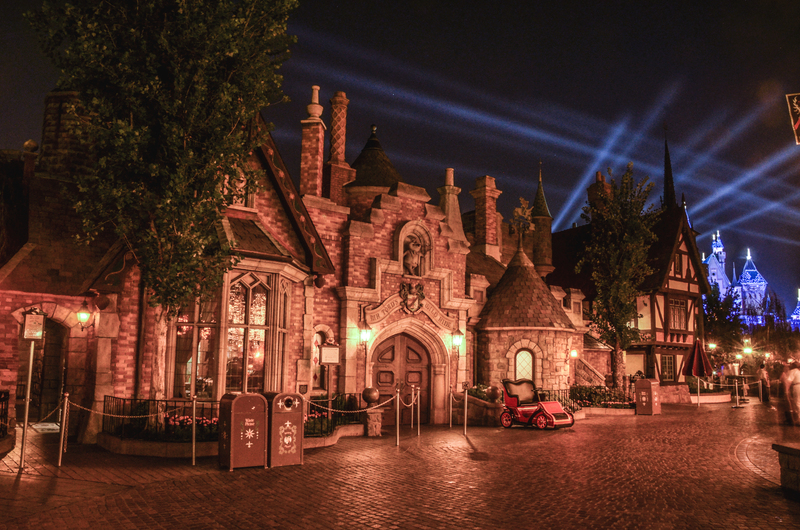 Located in Fantasyland, Mr. Toad’s Wild Ride is exactly what the name says it is. You go on a wild ride with Mr. Toad. If you think going on a drive with a toad sounds like a bad idea then you’re probably right. But, this wacky story and classic Fantasyland attraction help it narrowly make my list (it was the last attraction on it). Another classic Fantasyland attraction. 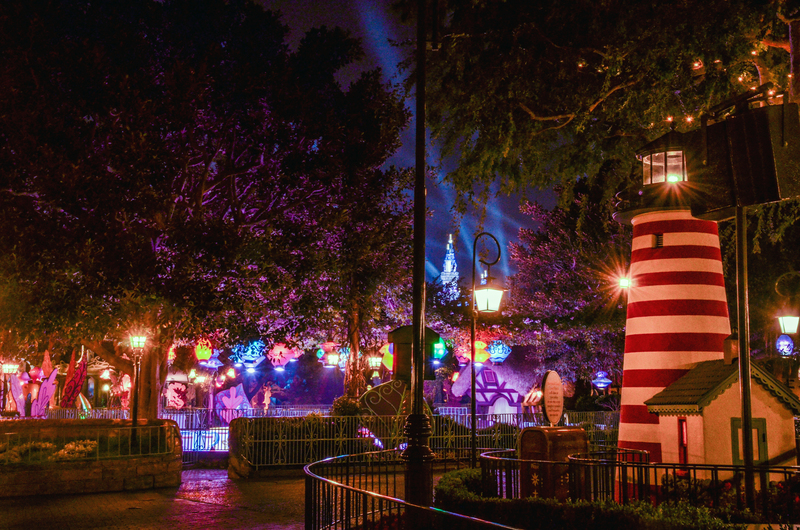 Peter Pan’s Flight is the most famous and popular attraction in that land. You soar high above scenes from the movie as they take place below. I’ve tried for years to come up with why this attraction still ranks near the top of my favorites. Maybe it’s nostalgia, maybe it’s just an extremely well-executed dark ride, or maybe it’s the history. I don’t know but I think all first-timers should brave the wait and go on it. Pirates of the Caribbean is maybe the best attraction at Disneyland. With incredible detail, audio animatronic figures, and unbelievable scale, Pirates has something for everyone in the family. It may be a bit spooky at first (like Haunted Mansion) but really it turns into a slow boat ride with amazing show scenes. Another similarity Pirates shares with Haunted Mansion is that it loads very quickly and gets people in and out at huge numbers per hour. There’s a ton of Disney history in this pirate-filled ride through the Caribbean. One of Disney’s most recent additions easily makes the cut as this parade is bright, beautiful and enormous. I’m not much of a parade person but this one really drew me in with its bright lights. The soundtrack is fun, there isn’t a bad float in the lot, and there is a nice assortment of characters. Don’t miss this parade. There are rumors that this fireworks show is on its way out. But no matter what fireworks are going on at Disneyland, you should probably go see them. 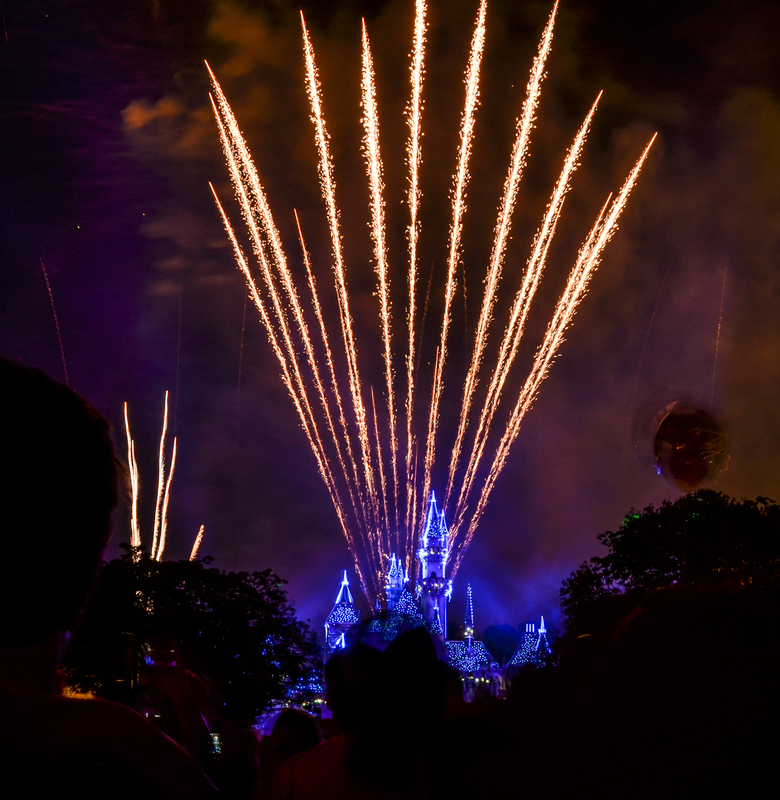 There is a reason why so many people end their night with fireworks on a day at Disneyland. It’s because the whole day is leading up to this huge show that will likely take your breath away. 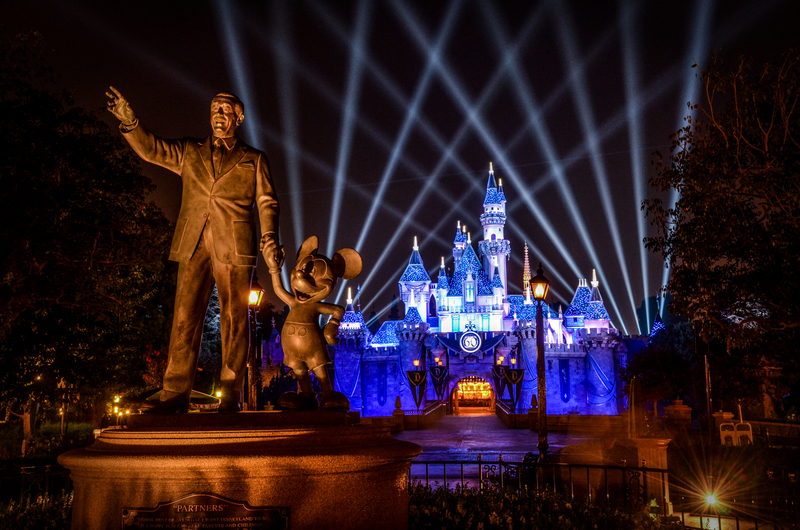 While some shows are more well done than others, Disneyland Forever is very solid as far as story but really shines when it comes to technology. I don’t know what’s ahead for fireworks at Disneyland but every first-timer should see them regardless of the show. Okay, my final one is a bit of a go with me here. This isn’t an attraction to ride but something to do for not just Disneyland but most of the U.S. Disney Parks. Just take time to explore the areas and soak in the experience. This looks different for each person. 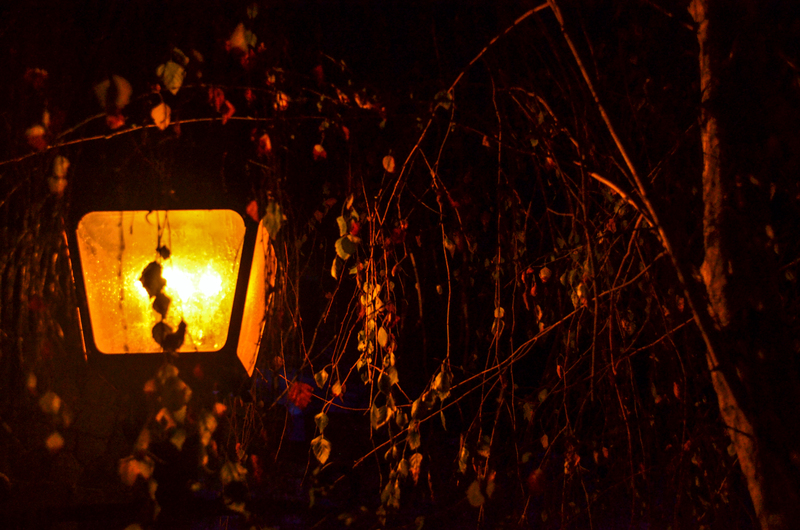 Some will be drawn in by the neon glow of Tomorrowland at night, some by the jazz music of New Orleans Square. Some will spend their time soaking in the small-town feel of Main Street or the whimsical details of Fantasyland. I spend a lot of my time by the Rivers of America (although that’s harder to do right now). If you just run from attraction to attraction then Disneyland isn’t much better than parks all around the World. If you take the time to learn the stories of the lands, see the details in the architecture and figure out the themes then Disneyland becomes much more than a place with cool rides. I think it’s important to at least recognize that as first-time guests (and repeat guests) will want to run from place to place. Fantasmic! 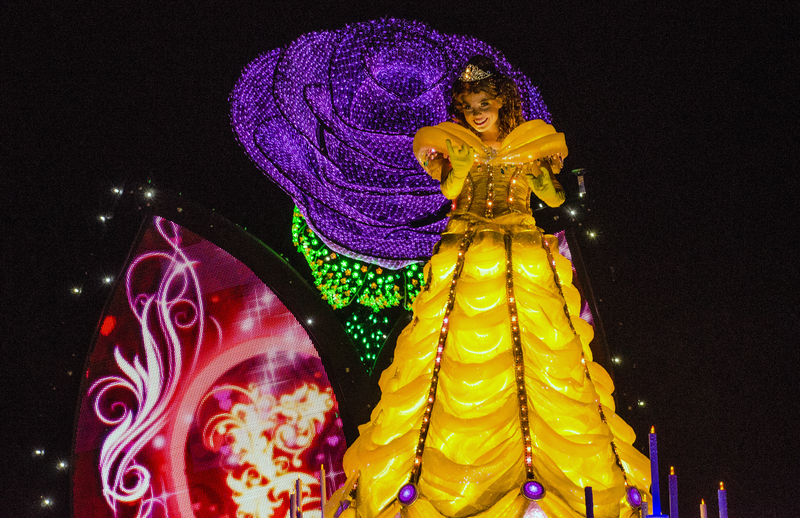 – This nighttime spectacular will surely be on my list when the show comes back next year. Disneyland Railroad – Same goes here, when it reopens the Disneyland Railroad will be on this list. Great Moments With Mr. Lincoln – This is hard to leave off the list. A great show with an animatronic Abraham Lincoln giving a speech. The pre-show has some beautiful models and art work. There is so much history in this attraction and it’s really well done. Mad Tea Party – A sort of rite of passage Disneyland ride but it really isn’t that great of attraction. Dumbo the Flying Elephant- Same as the Mad Tea Party. Enchanted Tiki Room – Another Disney classic where birds sing to you (the birds aren’t real). Sleeping Beauty Castle Walkthrough – While it’s not super exciting, walking through a castle is a special moment especially to kids. Did I leave anything off the list? Do you have any questions if you’re a first time guest going to Disneyland? Leave me a comment and I’ll try to fix the list or help you out! Thank you for reading!